The former director of Russian national anti-doping laboratory Grigory Rodchenkov recently spoke with BBC, but it wasn't the subject matter that resonated the most with social media. 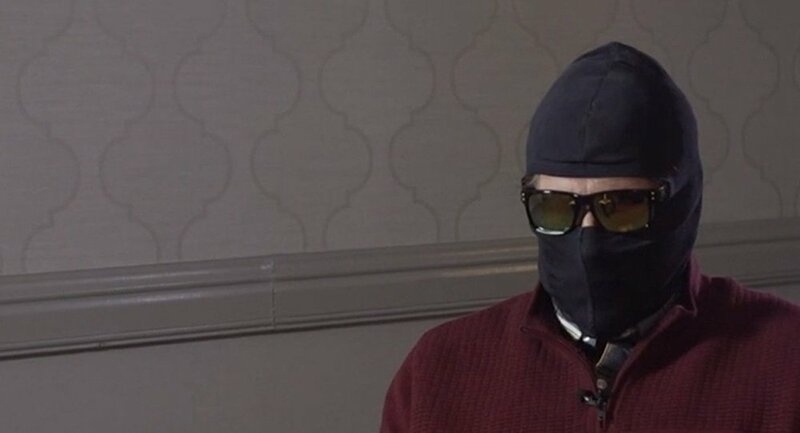 Rodchenkov, who is currently staying in the US under a witness protection program, appeared before the cameras wearing a black balaclava and sunglasses. In the interview, he talked about suspicious cases involving British athletes, said he would be "in the tomb" had he not left Russia, and that it would be IOC's worst decision to let the Russian team bear their national flag at the closing ceremony. ​But some simply couldn't get over the exiled doctor's militant look. Haha 😂 Why is Russian dope scientist Griggory Rodchenkov wearing shades and balaclava on the news??? Literally just watched Icarus on Netflix- everyone knows exactly what he looks like!! ​"Rodchenkov in a couple of years"
​Rodchenkov reportedly underwent plastic surgery earlier this month. In 2016 he became WADA's main witness in the case against Russian national team over the doping allegations. As a result, 43 Russian athletes were banned for life.